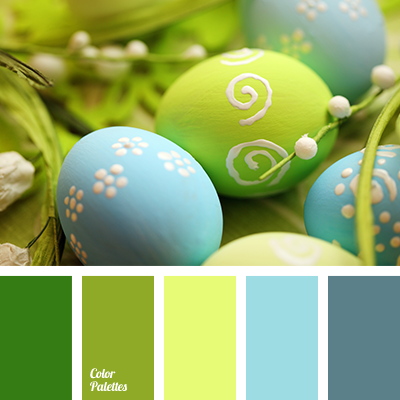 An extraordinary sea palette in fresh colors. Blue shades and azure attract with its coolness. They may be used for room decoration that looks on south side. Pastel milky adds softness and delicacy. 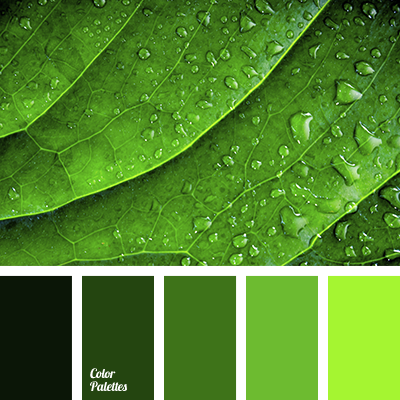 Bottle-green brings intensifies and accentuates other colors. 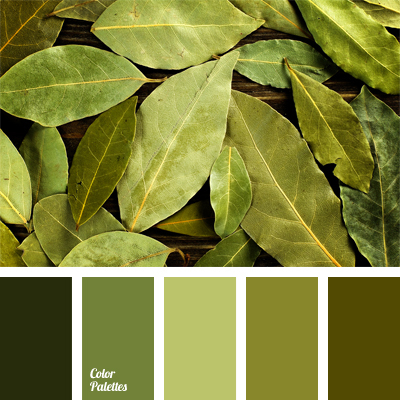 A color gamma that may be used for bathroom and living room design. 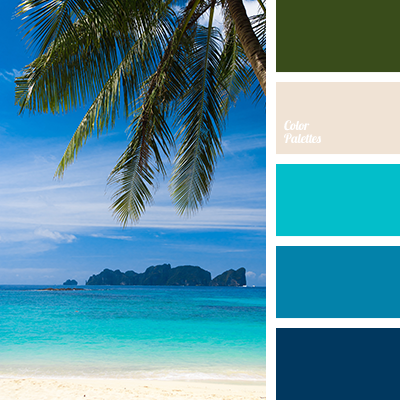 aqua, aquamarine, Blue Color Palettes, blue shades, dark green, dark-blue, deep blue, green, hot blue, oceanic, palm leaves, palm leaves color, sand, sea color.